Microsoft has been rumoured to be working on the Surface Phone for quite some time now, and it is expected to unveil it in early 2017. Now, the company’s Corporate VP of Windows Kevin Gallo has shed some more light on what Microsoft has in mind when it comes to its future smartphone offering – thought to be the much-awaited Surface Phone. 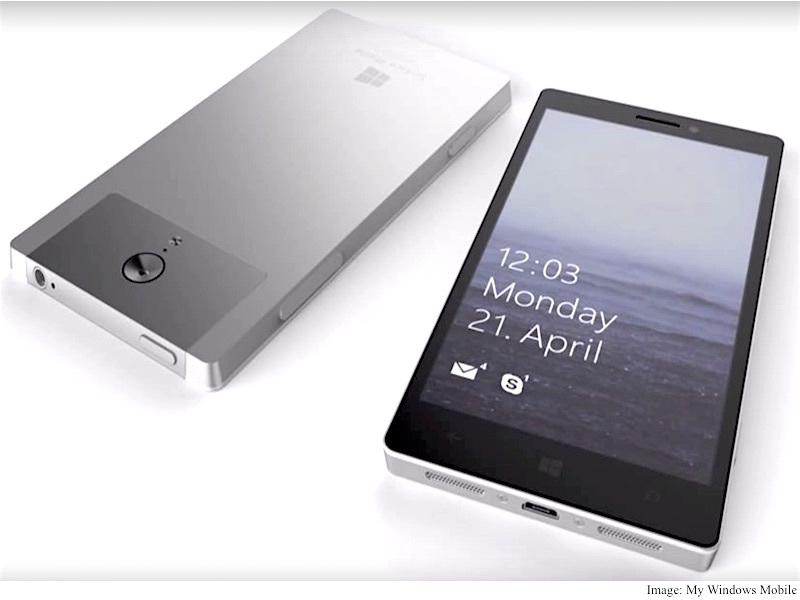 Gallo told The Register that the next Microsoft phone will be a high-end version catering to the enterprise market. He hinted that the next Windows 10 Mobile will be ‘category innovating’. While Gallo didn’t particularly mention the Surface Phone, he did speak about Microsoft’s new found focus on the enterprise market. The company is looking to abandon its efforts in the crowded entry level market, and bring the high-end Surface products thought process to its OEM products as well. “We’re really aligned to what we’ve done on the Windows desktop […] which is we’ll lead with some high end and category innovation like we’ve done with Surface, and OEMs will go and build the breadth of the catalog,” Gallo said in the report. Late last year, the Microsoft CMO Chris Capossela tipped that the company was developing a’breakthrough’ Surface Phone. It was also rumoured that Microsoft is planning to unveil three models targeted at regular consumers, business-specific, and enthusiasts. The Surface Phone is expected to be powered by the Snapdragon 830 SoC paired with up to 8GB of RAM. It is also expected to come with 128GB of integrated storage, as well as Continuum support. Microsoft separately also confirmed that the company will stop producing Surface 3 tablets from December 2016. The company is also contemplating on whether it should launch the Surface 3 successor or not. The tablet was not as successful as the Surface Pro 4, and the Surface Book, and Microsoft may just decide to abandon the product line altogether. To generate sales for the Surface 3, the company has been slashing the price of the tablet all through last year. “Since launching Surface 3 over a year ago, we have seen strong demand and satisfaction amongst our customers. Inventory is now limited, and by the end of December 2016, we will no longer manufacture Surface 3 devices,” Microsoft told ZDNet. The report also claims that the Microsoft is having a hard time keeping the Microsoft Band 2 in stock.